Artsploitation titles can be a mixed bag at times. From the crazy Japanese yakuza action of Hard Romanticker to the dull pseudo-art house style of Bullet Collector, their entries contain a myriad of foreign niche genre films that can be a wild card to choose from when looking for some decent entertainment. Combat Girls, a German drama from director David Wnendt, tends to lean more towards the dramatic end of things while retaining an appropriately wild side of what could be with a story that explores the fictional lives of some Neo-Nazis- though the given the nature of the premise and the general marketing behind the film, I think the envelope could have been pushed a bit harder than what they were going for here. 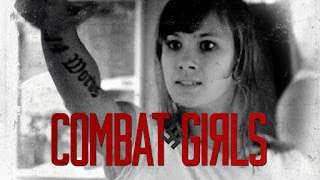 Combat Girls compares itself to American History X and Romper Stomper, but its racist undertones that it tries to place on its Neo-Nazi characters are far more undercooked than what could have been done. 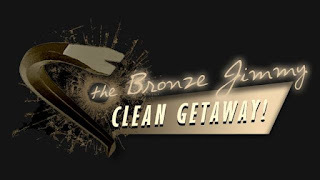 The film does start out startlingly slow, building up an introduction to the two central characters and the people around them, explaining to the audience why they choose to go on their desired path of assumed danger. But even after we dive into the world of these Neo-Nazis, there isn't much to be seen aside from what would essentially amount to yelling into an empty void of darkness. There's even a point where some archival audio from a speech from Hitler is playing in the background, ensuring that we are full and well aware that these are actual Nazis that we are watching, but even the far more exploitative Green Room took its potentially violent clashes to truly daring and interesting heights. It's not entirely a wash, fortunately. There are a few choice scenes displaying the hedonistic lifestyle of these Neo-Nazis, throwing a couple wild parties where drink and recreational drugs are no stranger to their atmosphere. The drama, as it unfolds, is interesting at first, but quickly loses steam as the film really fails to deliver on truly convincing relationships between what are supposed to be the two main characters and their driving friendship behind the entire plot. Combat Girls tries to set itself up as an anti-establishment piece, but ultimately falls short on that front once any sign of an interesting development disappears. I'd like to think I'm being too hard on these Artsploitation entries. The label's title itself would clearly seem to suggest that they have a vast lineup of films that blur the lines between arthouse and grindhouse. But does such an amalgam between two completely polar opposite styles work? Most of the time, the answer is probably not, but it doesn't make these films any less interesting to watch in the long run. Combat Girls is kind of that weird middle ground that promises an unbiased look at a more extreme end of society, but somehow finds itself lost amidst a slower and frankly sometimes downright tedious plotline. Maybe its problem wasn't that it was screaming loudly into nowhere- it's that it wasn't screaming loud enough. A film about this extreme of a group should be bolder than throwing around a few racial slurs in its opening monologue. It needs to show the audience visually that it dares to go where conventional filmmakers won't, that there's more to this story than what they're already hesitant enough to show. I would cautiously recommend this for the more dramatic flair, but don't go into it expecting anything truly radical.